Since moving to Portland, we have come to slowly … well … adore it. It has a character and a natural rhythm about it that echoes, challenges, and reflects our own sensibilities. We connect with the city – for better or for worse. We currently live in a high-rise apartment in downtown Portland, near the PSU campus. 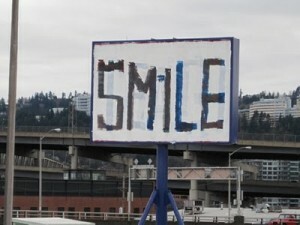 One of the main routes we have to the SE section of the city is over the Hawthorne bridge. Every time I go over I do as I am told. Headed away from the city, I SMILE. 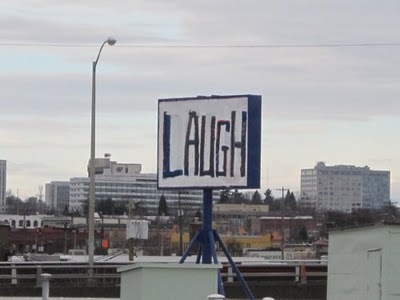 Toward the city, I LAUGH! This entry was posted in Charity, Portland, Talking Stories and tagged Portland by charity. Bookmark the permalink.